Climbers and hill walkers are positively spoiled for choice in this stunning area. In the east of the Assynt region are two Munros – Ben More Assynt and Conival – which tend to be favoured by the keen mountaineer. The striking peaks of Stac Pollaidh, Suilven, Canisp and Quinag are also popular and more accessible after an extensive path improvement project funded by the John Muir Trust. In attempting any of these climbs (with the exception of Stac Pollaidh), it’s best to allow a whole day for the trip, enabling you to make the most of the staggering views and scenery. Stac Pollaidh can be scaled in a morning or afternoon but pack plenty of provisions – it’s hungry work! Please remember to always check the weather forecast before setting off as conditions can change very suddenly on high ground and please do ensure that you’re suitably prepared. At lower levels, there are a multitude of walks and climbs which are tailored to suit all ages and abilities. These include the coastal pleasures of walking from Stoer Lighthouse to the Old man of Stoer, an impressive sea stack or the path joining the beaches of Achmelvich and Altan ‘abradhan which meanders right through the Cathair Dhubh Estate. Inland, one can enjoy such treasures as the Glencanisp Loop which takes you right into the heart of the Assynt landscape. For a fantastic day out, this can be extended as a linear walk to Elphin - a 19 km trek through the mountain wilderness. Of particular interest to natural history enthusiasts is the walk to the Bone Caves at Inchnadamph, so-named for the wide variety of animal bones, including bear, reindeer, lynx and arctic fox, which were discovered here over one hundred years ago. 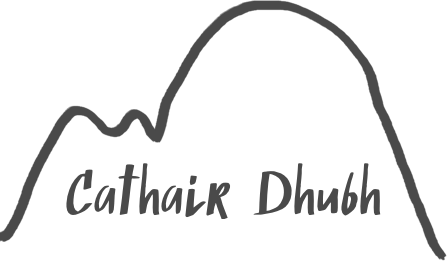 To help you decide where to explore, all the cottages at Cathair Dhubh are furnished with a selection of walk books detailing routes in the local area. For further information on walking in Assynt and nearby areas, we would highly recommend the Walk Highlands website which provides detailed directions and maps for a wide variety of routes.